Camping has always been the best way I know to be outside and really appreciate nature. Whether you prefer to be in the woods, mountains, or be canoeing down the river, the experience is wonderful every single time. Before you just take off and go there are a few things you should know about before you leave. Most importantly your destination and travel companions. But, without the right equipment even those basic things can be spoiled. First of all you'll need your basic fundamentals of boots, a tent and of course a backpack. Light Weight- These are generally for day hikes and defined trails. They are made of a leather and canvas combination. Not quite as sturdy as a completely leather boot. It's more of a laid-back look good boot. Medium Weight- These are made for the backcountry. They are usually a completely leather boot which adds more stability to your hike and adds more water resistance just in case. Heavy Weight- These boots are made more for long intensive trips, heavy packs, and lots of banging around. When finding the right boot make sure to bring along the appropriate attire. Make sure they are comfortable to wear. There are two different types of packs. An external pack or an internal pack. External packs have the metal bars, supporting the outside of the bag. Internal packs have the bars enclosed inside the material. So, the difference is that the external packs tend to make for easier packing of equipment. They tend to have a few more pockets. But, the internal packs on the other hand seem to be much more comfortable. That way it's easy for long days of hiking. Packs are measured in cubic inches and come in all different sizes. They usually range from 3,000 to 7,000 inches. 3,000 inches being the size for large daypacks, which are good for no more then one night. The 4-5,000 ranges is a good weekend pack. For an over a week you will need at least a 6,000 inch pack. Tents come in a variety of shapes on sizes. Try not to be lured into all the different colors and styles. Size should be the first thing you're considering. The sizes are a 2-man, 3-man, 4-man, 6-man, you can even go up to the family sizes of 10 and more. These are a little big for hiking purposes. 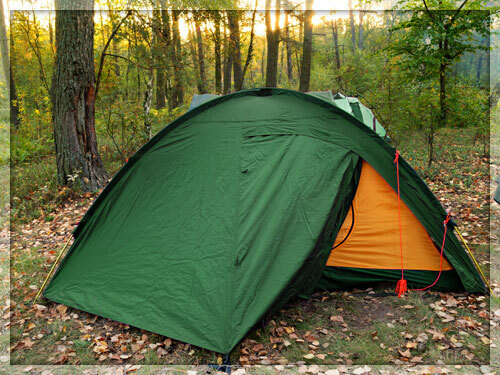 Your tent should have the main tent, the rain fly (tarp), along with the support poles (these hold up your tent so I'd advise keeping a close watch on them and bringing a few extras.) You should also bring along a piece of ground cloth. This is a piece of plastic that goes under your tent. I prefer to call it a tent diaper. 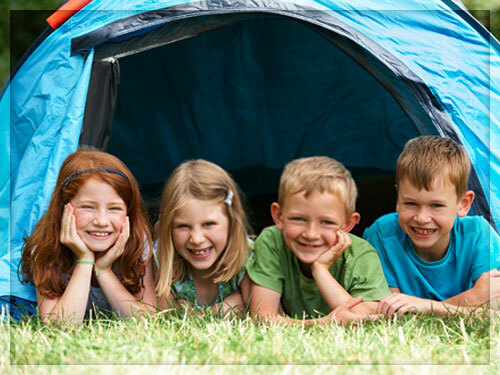 The point of your tent diaper is to keep your tent dry and clean from the ground. It works best when the edges are tucked neatly underneath the tent. If the diaper is sticking out the point of it has been slightly lost. Along with the proper essentials you should have a checklist of hiking gear to look at before you finally pack for you journey. Water-at least 1 liter for short day hikes of 6 miles or more. Remember, pack everything in zip lock bags. Always remember to keep your things dry and keep them in a zip lock bags. Food is a large part of your trip so you want to have everything taken care of before you leave. The Best foods to take while you're camping would be lots of carbohydrates. Noodles, macaroni and cheese, rice. Carbohydrates keep your energy level up and your metabolism in action. Soup, any kind, tends to make a great meal. As long as it comes in a bag and not a can you're set to go. Sandwiches are great for a quick lunch but if you've ever been camping you know that bread doesn't last very long without losing its consistency. Pita bread not only doesn't fall apart but it packs a lot easier as well. You must remember to be careful when you are selecting the food items because it's you at the end of the day who is carrying them. Oatmeal is always the best along with brown sugar and cinnamon. Cereal is quick and easy. Powdered milk. It doesn't taste that bad. Try chocolate chip pancakes if you want a hot breakfast. For lunch try to stick on the cold side. It's just faster and easier when you're on the move. Peanut butter and jelly, tuna fish- cheese sandwiches are also recommended. You can bring along chips or granola bars if you are looking for something more. Things like chips are sometimes smashed when packed so pack carefully. Grilled cheese and soup is a great treat if you've time to spare and want a hot lunch. Keep some snacks close T hand; they should be easy and accessible. The best snacks are things that will give you a quick energy boost. Like granola bars, fruit roll-ups, you can also go for a combination of raisins, m&m's, peanuts, and dehydrated fruit. For dinner there are options to choose from There's cooked together noodles and sauce. The sauce is dehydrated but it works equally well. If you decide to take meat along there are ways you can stir-fry the chicken. Don't forget your seasonings. Macaroni and cheese is always a great possibility, along with soup. Bring along Smor's ingredients for at least one meal. In case you don't know Smor's are made up of roasted (orcharred) marshmallow's in-between a chocolate bar, which is in-between two graham crackers. Use fires only when you must. Fires scar the land. If you do use a fire make sure to use it in the provided fire rings if possible. You should never wash your food, yourself (brush your teeth, wash your face, etc...) Clean your pots and pans by the campsites water source. No matter if the source is a pump, a lake, or river. Keep noise level down. This way you don't ruin others enjoyment and you'll have more of a chance to see wildlife. Before you set off for your excursion always remember to let someone else know where you will be and when they should expect you back. Being cautious never hurts. Check all your equipment before you hit the trails. If your stove doesn't work you need to know that before you're in the middle of nowhere. Also make sure your fuel isn't leaking. Always remember that hiking is a physical challenge and depending on you personal health you should only challenge yourself as much as you think you can. Set the limits yourself. Never be afraid to ask your hiking partners to stop for a break. Besides you should always stop for water breaks. It's Important. Keep your camera close by. Make sure you don't miss out on the natural wonders. You'll appreciate them later. Don't forget to bring along lots of film. When your hiking keep everything in plastic bags inside your back but remember to leave out your raingear. If you get caught in a storm you want it very accessible. Use your map to get the right direction. While hiking, wear layers, no matter what, when you start hiking the weather is bound to change. Hiking is a physical activity so you'll probably need to shed some clothing. Always hike in clothing that dries quickly. (try wearing no jeans) In case of rain and sweat you'd hate your clothes to be wet for your next day excursion. Riddles and old songs make great past time entertainment. Always wear sunscreen and keep something on your head. The sun will wear you out otherwise. Keep your head nice and cool. Pack as light as possible; you're the one who will carry it all. Bring along a journal, something you'll be happy about later. Try to gather knowledge about where you're going before you reach there. Try tightening your waist belt up a bit, to relieve the pressure from your shoulders. To stay warmer at nightdress light, your sleeping bag will keep you warm and the added layers on your body will take away from the sleeping bags ability to keep you warm. It's simply great fun to go on camping. And each time, it's a brand new experience. You can make it more creative and interesting in so many different ways that you can't begin to think of unless you are out there. So go camping with your loved ones and make your holidays worthwhile and memorable for the rest of your lives.